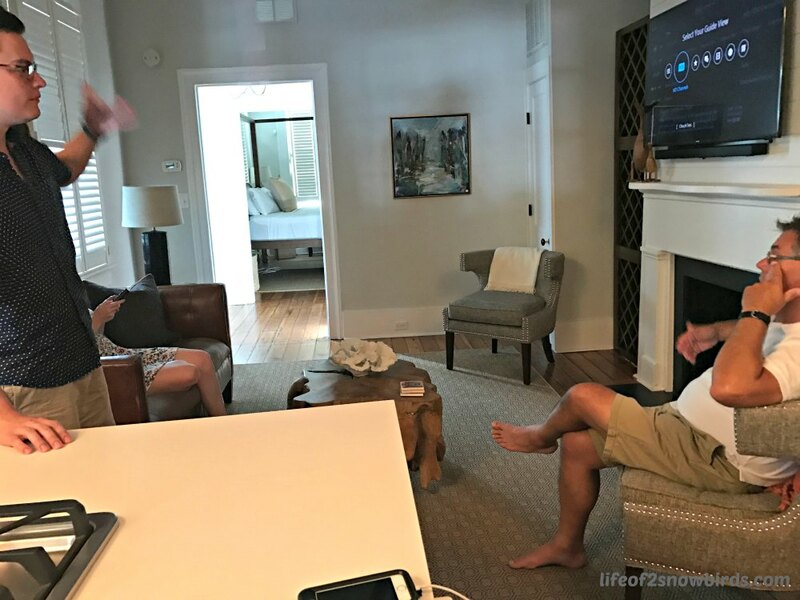 We had a fantastic vacation in Charleston, SC recently with our son, Joe, and daughter-in-law, Nicole. (You can read about it here). Part of the fun of our vacation was spending two nights in an Airbnb. If you are not familiar with 'Airbnb', it is a booking company for rental properties. It started in 2008 when two young men, who were struggling to pay their rent, put an air mattress in their living room and turned their apartment into a bed and breakfast. From there they, along with a friend of theirs, created 'Airbnb'. Now 'Airbnb' operates in over 65,000 cities and 191 countries. They have tree houses in the woods, rooms in castles and everything in between. 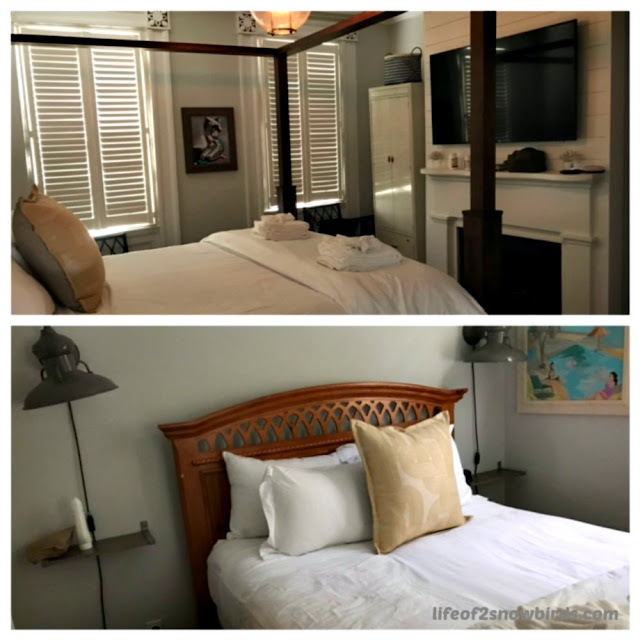 You can find a bedroom to rent or a whole house full of bedrooms. You can rent for one night or several nights. We booked a house that was only a 20 minute walk away from downtown Charleston. The house had 2 bedrooms and one bath. It was perfect for the four of us but we could have fit another couple in the living area with no problem. This particular Airbnb was one of four houses on the property which were all available to rent. They advertise how their property would work well for a family reunion or bachelor/bachelorette party. 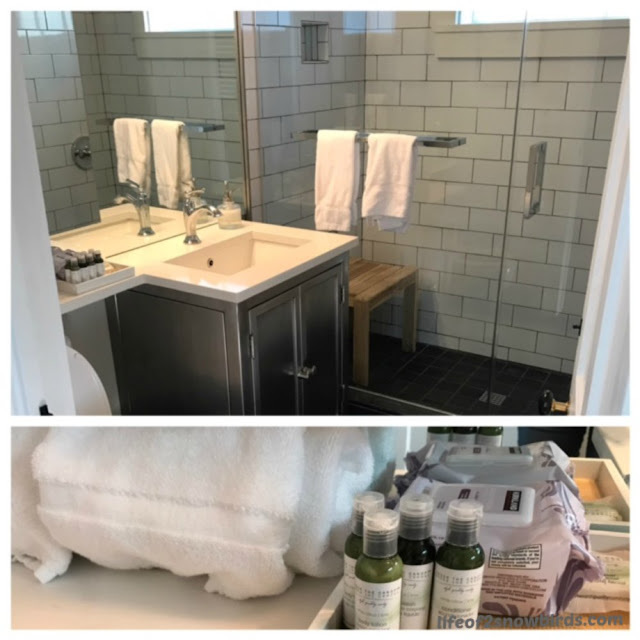 The bath had all the amenities you would expect to find if you stayed at a hotel including a hairdryer and shampoo, soap and lotion. We enjoyed the living area with the open floor plan. We could be together without being on top of each other. And being able to meet up in the living room to make plans for the day was so much more convenient than meeting in a hotel lobby. We loved having the kitchen especially on the night we ate in. We warmed up the delicious take-out BBQ chicken and ribs that we brought back from Rodney Scott's BBQ. The rating system 'Airbnb' has for hosts and guests is definitely a plus. Joe has a five out of five rating so a potential host would be happy to rent to him. When we look for the next Airbnb, we will look for one that is rated a five or very close to five. We can also read the reviews of the house and host which are available for all the properties. 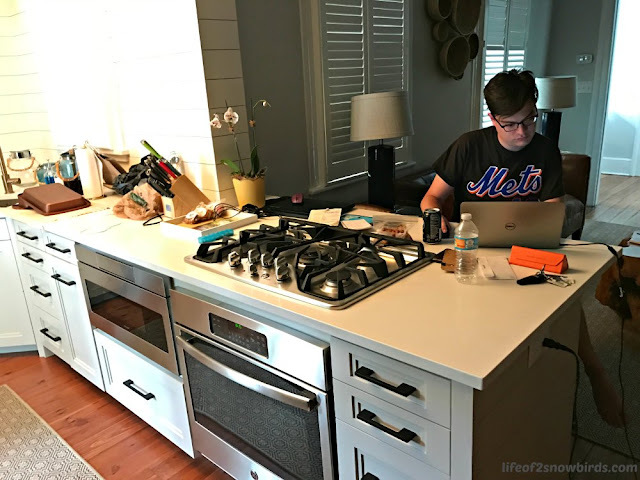 If you are trying to be frugal with regards to your overnight accommodations, then an Airbnb could be a very good choice. This 'Airbnb' definitely cost less than any hotel in Charleston would have cost us. We ended up paying $150.00 per couple per night. We would have paid almost double that if we would have each booked our own hotel room in that area. The cost of the stay is broken down and gives you the cost of the rental per night, the occupancy tax and 'Airbnb' service fee. Then there's a one shot cleaning fee that doesn't change if you decide to add on a couple more days. Could an 'Airbnb' possibly work for the trip we have planned for Japan in a couple of years? We will definitely look into it! I have browsed the airbnb site many times, but have been a little nervous to go for it. 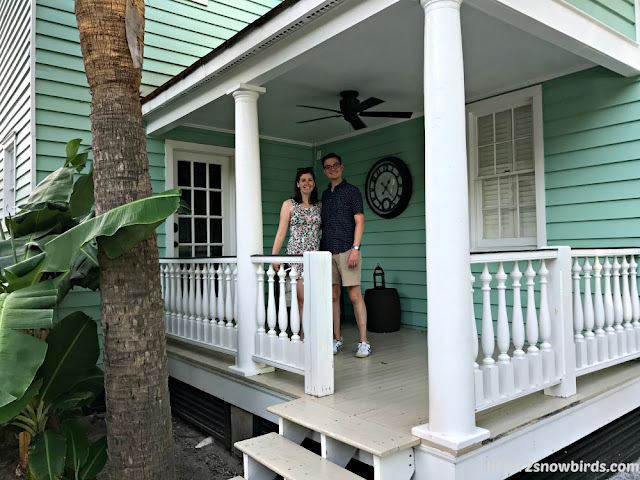 You look like you had a wonderful experience and Charleston is such a wonderful place to visit! Thanks for sharing your experience at Celebrate Your Story! We did have a wonderful experience. 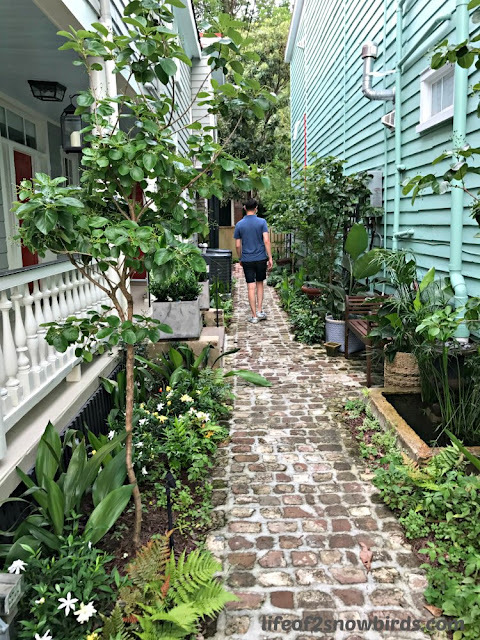 I would really recommend staying where we did in Charleston. I hope that our next experience will be equally as good but I'm sure there are some homes that are not as perfect. I would say give it a try though! 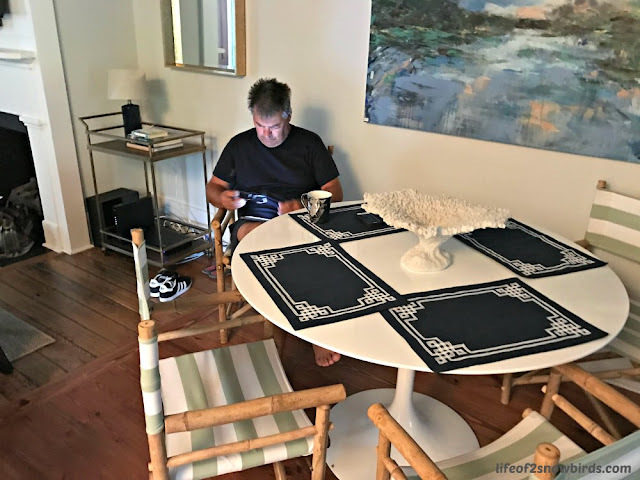 I have been wondering about Airbnb so I am really pleased to read your first hand experience of it! Charleston is on my list of places I want to visit. I've been to Savannah twice, but never to Charleston. Thank you so much for sharing with us at Hearth and Soul. Savannah is on my list. I think that both cities probably have a similar feel to them. I'm thinking Charleston might be a smaller version of Savannah. I will definitely go to find out for myself. 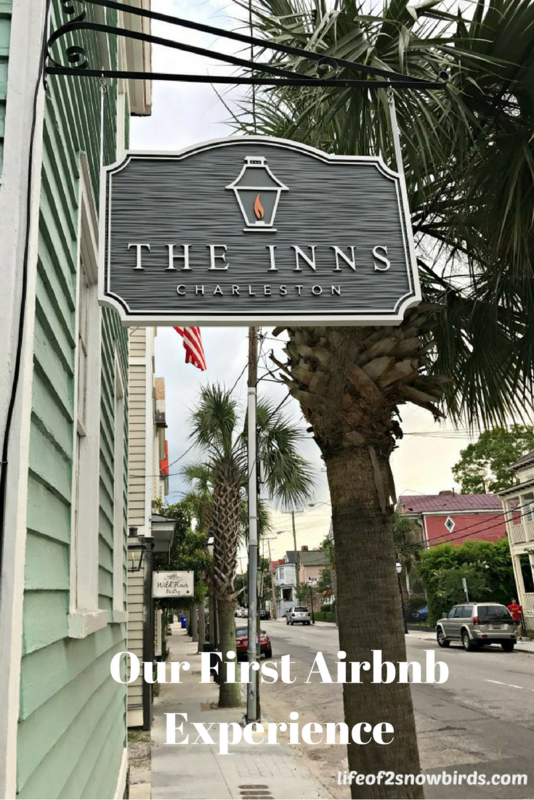 I would definitely recommend looking into the airbnb we stayed in if you get to Charleston! Will do, Cathy! Hope to see you back at Hearth and Soul when we return from summer break on Monday August 7th. Have a great week ahead! Totally familiar with AirBNB as I am a host. I have folks stay in my home during the winter season here in Florida. You can stay in all sorts of places thru thie site. If you choose to stay with someone, they can give you all kinds of local info. I refer my guests to the best restaurants, all kinds of attractions, and short cuts in driving. Thanks for sharing. It was fun to hear from a host! We have stayed in a few airbnbs in our time and have generally been very happy. Reading the reviews carefully is my number one tip when selecting where to stay. I totally agree! I have done this on girlfriend trips and on trips with family. Cheaper and nicer than hotels and a great way to be together when you want and have some privacy when you need it! Glad to hear you've had great experiences. It's really the way to go on certain vacations. Thanks for the heads up on Airbnb, we are hoping to plan a trip around Christmas and this helps! You're welcome! Hope you have a wonderful vacation! We haven't tried Airbub yet. Looks wonderful. Thanks for the tips! Sharing on Twitter. Thank you for sharing on Merry Monday! Hope to see ya next week! I was so happy to hear about your experience with Airbnb and advise. 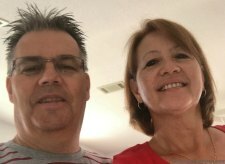 Two relatives booked an Airbnb in Cancun, Mexico last week for my daughter's wedding vow renewal. I have Charleston, SC on my bucket list. I may follow in your footsteps. Thanks for sharing your experience on Sunday's Best. What a nice way to renew their vows. I hope your relatives enjoyed their Airbnb and I hope you enjoy your visit to Charleston as much as we did!